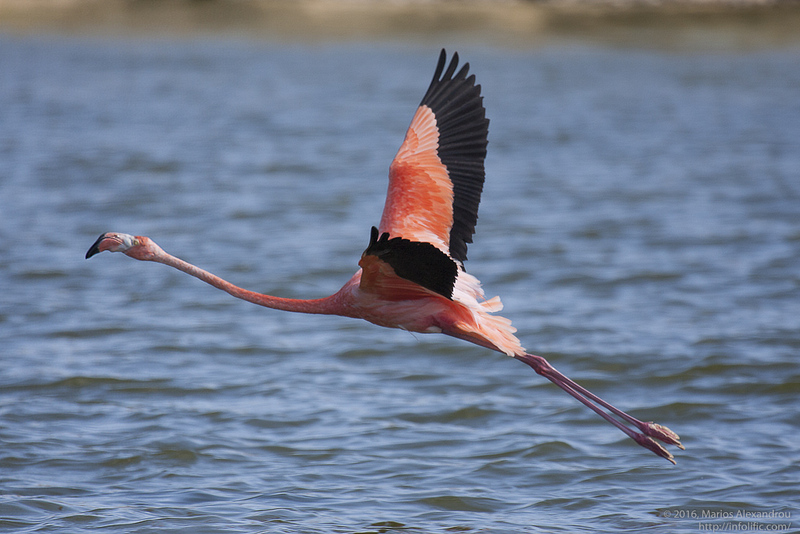 Even if you're not a birder, you'll want to keep your eyes open for Flamingos when visiting Bonaire. They're numerous and after several days you might even think they're everywhere. But seeing them close up or in-flight is another matter entirely. I checked out a number of locations and here are my findings. 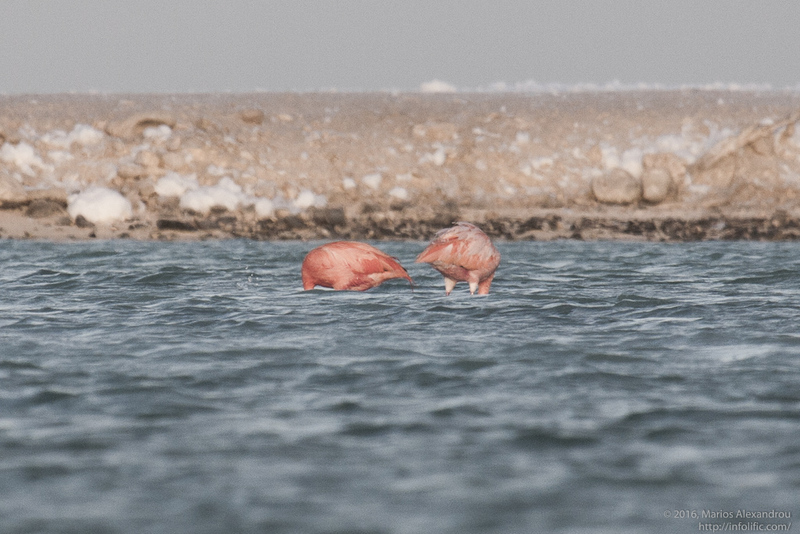 Up by the ever so scenic oil storage facility is a flamingo sanctuary. You can drive here, but don't expect to find much walking or hiking. The best sighting I had was right by the big oil storage containers where the road turns inland to the east. 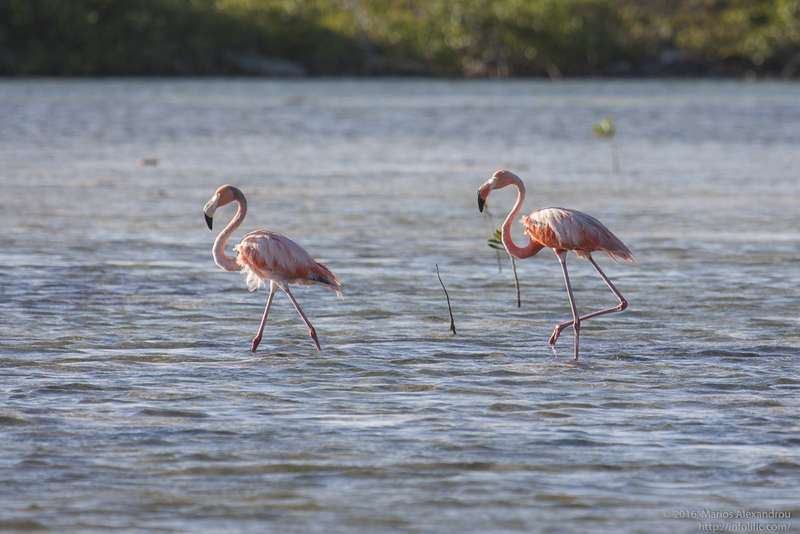 When I was here there were about 14 flamingos in the water. The water level was also low enough that I could walk close to where they were and snap a few photos. One bird even took flight and circled the area a couple of times before landing — another photo opportunity! In the southern end of the island are the salt flats where salt is “extracted” from water and refined. 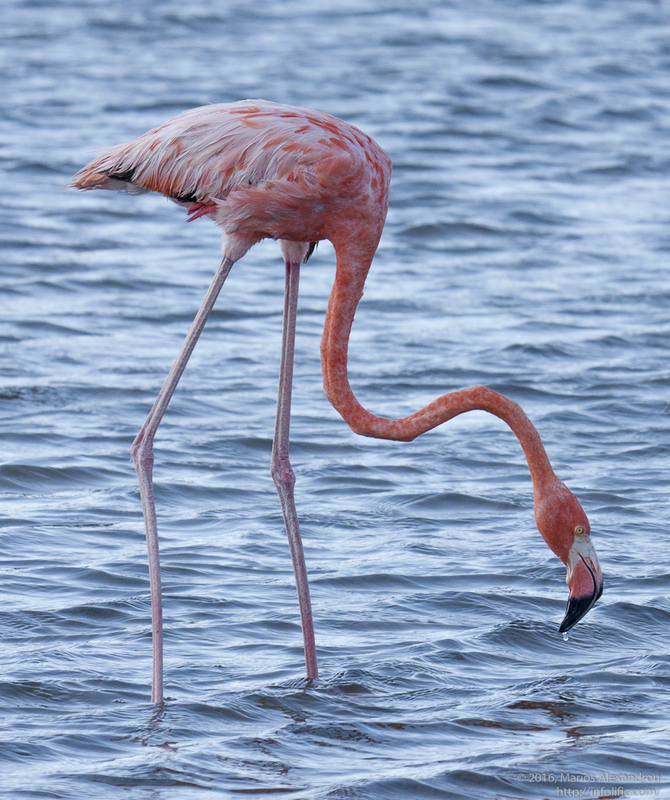 Flamingos hang out in this area, but they're not particularly close to the road. Still, if you're in the area diving (and I'm sure you will be) it's worth looking around. From the airport on your way to Kralendijk you'll pass shallow pools of water on your right. 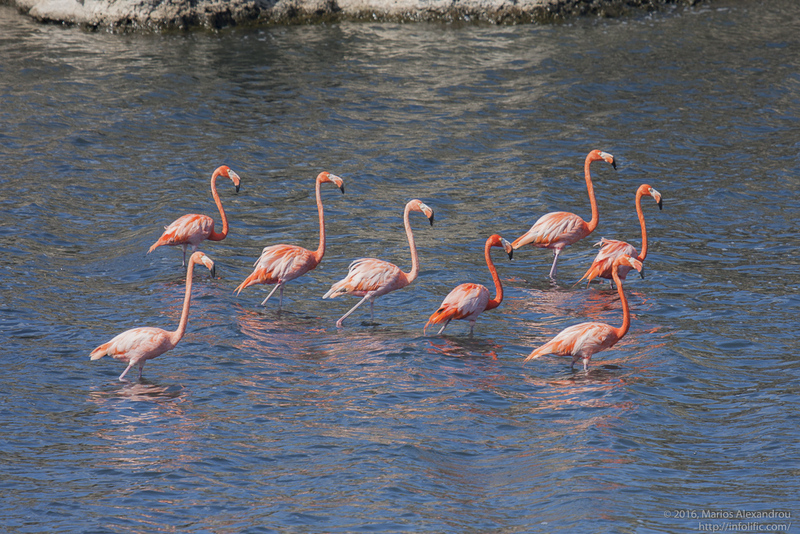 There were always a few flamingos in these pools. They weren't close to the road so again getting a good photo wouldn't be easy. 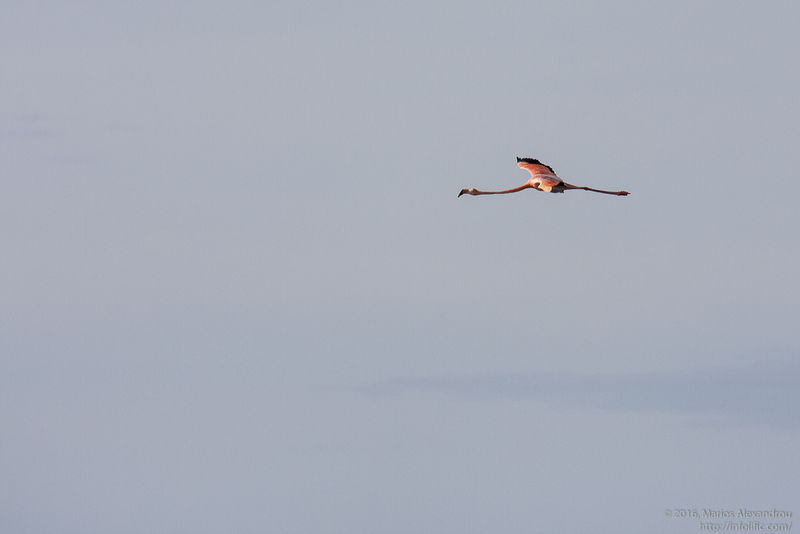 While I can't guarantee it, I've been told that the chance of seeing flamingos in-flight by the Willemstoren Lighthouse is pretty good. You have to go around sunset though so the window of opportunity is small. My one visit did indeed result in a sighting of a small flock, but they approached from an unexpected direction and were gone before I got a good look. No chance at all for a photo. 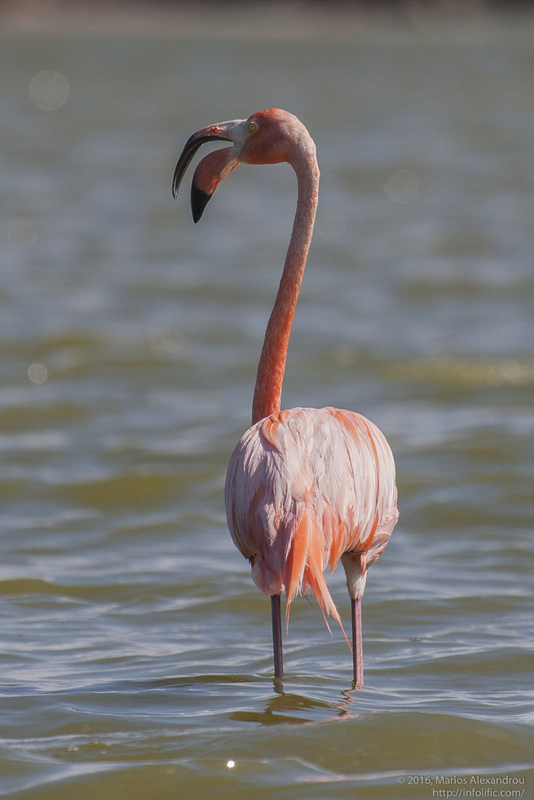 If you go to the Mangrove Center for Kayaking or the Butterfly Farm, you'll pass prime flamingo habitat. And the good news is that the road, in some places, is close to the water where they hang out. You've got a good chance to get a photo from your car just by rolling down the window (also good for not scaring them — I think they're used to cars).